Rental cars are no different to the rest of the vehicles. The accidents happen. First, make sure you have the most suitable insurance cover for your rental vehicle. However If you do not follow simple instructions in case of the crash, the insurance company may reject the claim and you will end paying the repairs out of your own pocket. Here is the procedure to follow in the case of a crash. Please note, this information is valid as of today 4 August 2017 and can be used for indicative purposes only. Please seek for a legal advice in case of disputes or further assistance. Stop! Don’t keep driving. If possible, use your indicator lights, hazard lights or headlights to warn other drivers and light up the scene if it is dark. Help anyone who has been hurt. Call an ambulance if there are serious injuries. Do not move anyone who’s been injured unless they are in immediate danger or need first aid. If someone has to be moved (if they are in danger), support broken limbs and be careful not to twist their back or neck. For someone wearing a helmet, lift the visor but don’t remove it unless the person is vomiting or has stopped breathing. When removing a helmet, have one person support the head and neck, while another gently lifts the helmet off from the back. Call the police if anyone is killed or hurt, or if the other driver fails to stop or swap details. If the other driver seems like they might be drunk or high, or there is considerable damage to things other than cars, you also have to call the police. If nobody is injured and everyone involved has exchanged their details, you can arrange your own tow and leave the area, then report the crash later to the Police Assistance Line on 131 444. The car owner’s full name, address and contact numbers (if the driver is not the owner). The name of the car owner’s insurance company, type of policy and policy number. Being in a crash is always stressful, even if it is minor. To make sure you remember what details to get from the other driver, it is a good idea to leave a copy of the above list in your glovebox. If your car needs to be towed, take all of your personal belongings out of the car and wave goodbye. Always keep the contact details of the rental company handy so you can quickly contact them and organise a replacement vehicle. The rental company would help you to tow the vehicle away or get it delivered to the mechanic. It all depends whether the vehicle is still drivable or not. Call your rental company as soon as you can. They need to make a claim with the insurance company. Then keep in touch with the rental agency to organise the car replacement or repairs. Important: Crashes are very stressful for everyone. The people involved will be pretty shaken up, so it is important that you keep calm and try not to get emotional. Even if the other driver is aggressive – do not rev them up or the situation could get out of hand very quickly. A greenslip is a legal requirement for all motor vehicles registered in NSW, except trailers. Greenslip is a generic term for Compulsory Third Party (CTP) Insurance (also referred to as CTP Greenslips, green slips, greenslip insurance, CTP and CTP Insurance). A greenslip contains of two schemes. The Third-party Insurance scheme, regulated by the Motor Accidents Compensation Act 1999 and the Lifetime Care and Support scheme, regulated by the Motor Accidents (Lifetime Care and Support) Act 2006. 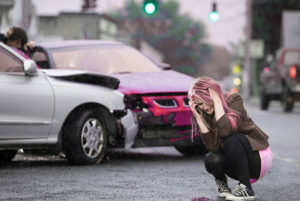 If you are a person injured (but not at fault) in a motor vehicle accident, you can make a claim for a range of benefits including past and future medical treatment and rehabilitation costs, care costs and economic losses, as well as payments for pain and suffering (in some circumstances). Click here for more details. SIRA is an organisation which is responsible for regulating workers compensation insurance, motor accidents compulsory third party (CTP) insurance and home building compensation insurance, in NSW. If you are a person injured (and at fault), your Green Slip may provide limited cover, up to first $5000 of treatment costs and lost income incurred in the first six months after an accident. Check more on the official SIRA site. 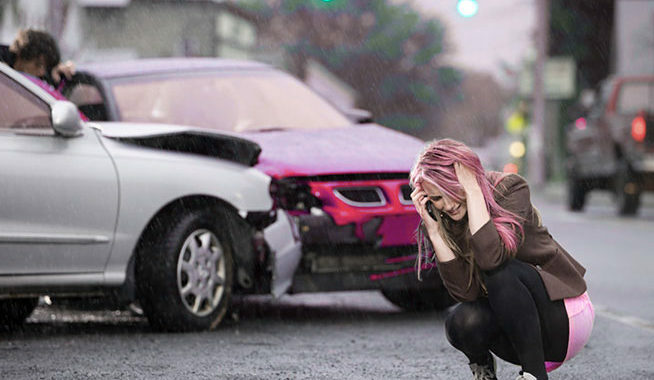 The NSW Police brochure What to do after a car crash – available in ten different languages – provides a step-by-step guide for what to do in the event of a crash and specifies which details are necessary to record in the event of an accident. NSW Police recommend printing the brochure and keeping a copy in your carii. Along with the brochure, you can also download the Emergency+ app for iPhone and Android smartphones. The app uses your phone’s GPS to provide emergency service operators with your location details immediatelyiv,v.